Tagging Bihar Chief Minister Nitish Kumar's move of quitting the 'Mahagathbandhan' and joining the Bharatiya Janata Party (BJP) as anti-democratic, the Congress on Saturday said it was deceitful on his part to do so. Defending Bihar former deputy chief minister Tejashwi Yadav, Congress leader Sanjay Nirupam said there are only charges against the former which have not proven yet, and therefore one cannot call him corrupt. "If one is termed as corrupt, if there are any such charges against him, then Chhattisgarh Chief Minister Raman Singh, Madhya Pradesh Chief Minister Shivpal Singh Chouhan and even Prime Minister have charges of corruption against them. Have they resigned?" Nirupam told ANI. Echoing similar sentiments, Congress leader Ashok Singh said the mandate of the people of Bihar has been insulted. "It is a politics of dishonesty. The conspiracy has been exposed seeing the swiftness of time with which the developments took place in Bihar," Singh told ANI. Yesterday, Nitish Kumar won the floor test with 131 votes in favour, against 108. The Chief Minister faced vote of confidence in the Bihar Legislative Assembly to prove his majority to form the state government. Nitish-led JD (U)-NDA government had a support of 132 MLAs. According to the communique issued from the Raj Bhawan, Nitish had claimed the support of 131 members, including the BJP, two independents and legislators of BJP allies Hindustani Awam Morcha (HAM)-Secular and Rashtriya Lok Samata party (RLSP). On Thursday, Nitish and BJP leader Sushil Modi were sworn-in as Bihar Chief Minister and Deputy Chief Minister respectively, and former has been asked to prove his majority on the floor by Governor Keshari Nath Tripathi. 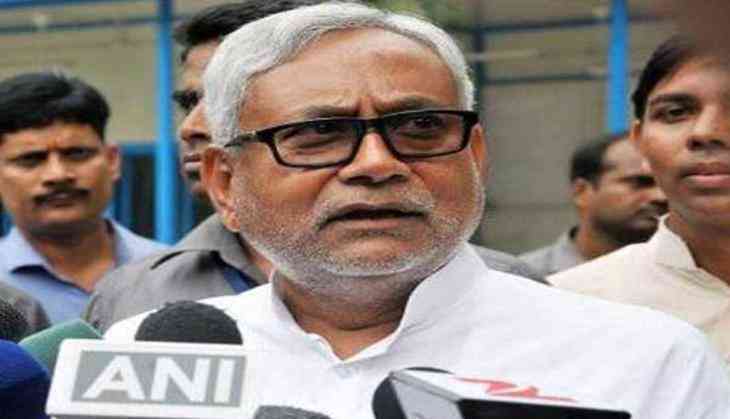 Nitish, on July 26, resigned as Bihar Chief Minister citing political differences with former ally, Lalu Prasad Yadav led Rashtriya Janata Dal (RJD), over corruption charges against the RJD supremo's son Tejashwi Yadav. He, however, on Thursday, took oath as Bihar Chief Minister for the sixth time, marking a historic transition of the state from a Grand Alliance government to an NDA regime.